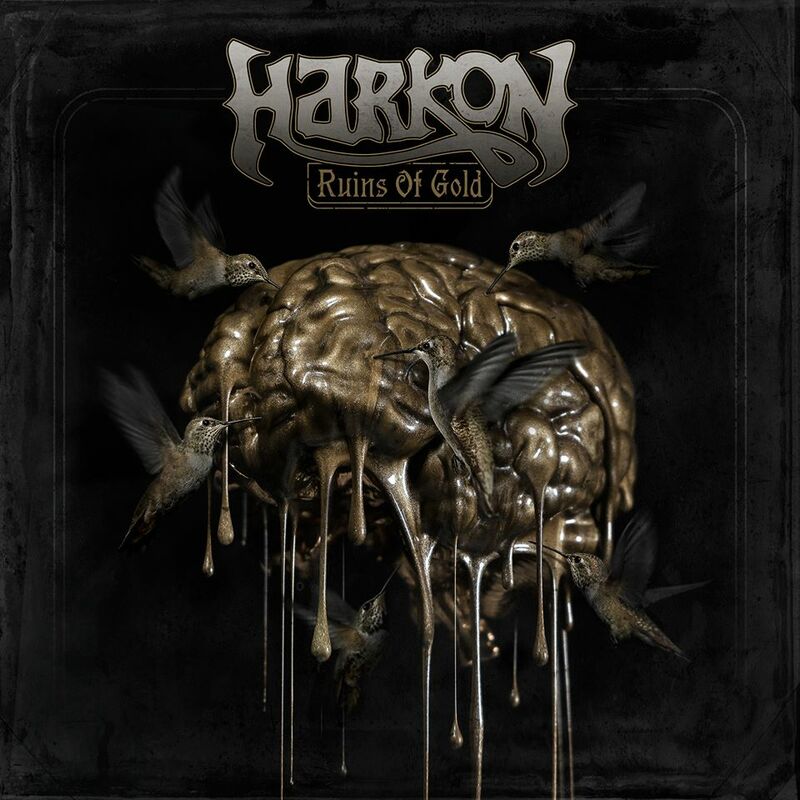 The front cover artwork for "Ruins Of Gold" (the debut EP of German metallers, Harkon) was designed by Björn Gooßes of design boutique, Killustrations. "This was quite a special project, not only because I am a member of that band, but also because it included some experimental photography," Gooßes reveals to And Justice For Art. 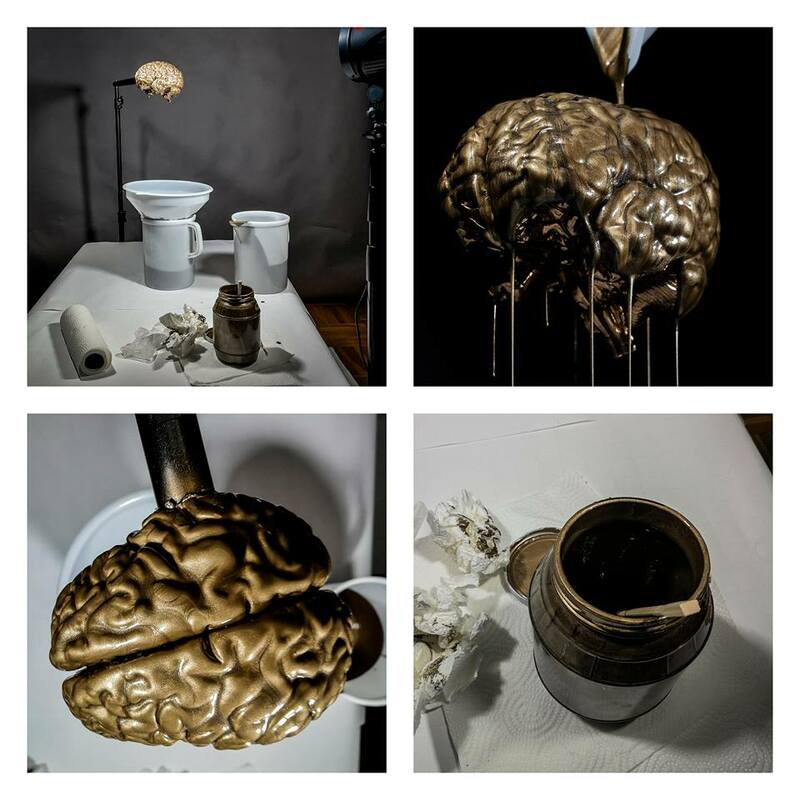 "For the dripping, golden brain I wanted a real look and feel," the German artist explains. "So, I got myself an anatomical model of a human brain and painted it gold at first. Then, I built some kind of rack to put the brain onto, because I wanted to take photos of it while liquid gold paint was poured all over it. I think the result turned out pretty good." 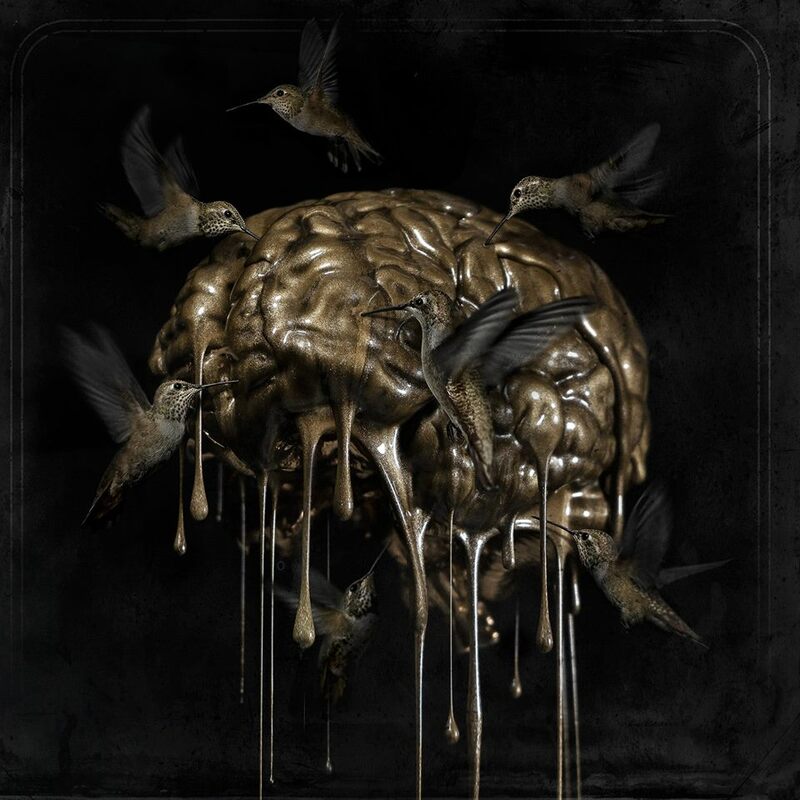 Regarding the meaning behind the artwork, Gooßes reveals: "The fucked up brain of course depicts the eponymous "Ruins Of Gold" and basically the maladies of our world, which would shine so much brighter if only mankind would try to use all of its intellectual potential. But that's wishful thinking and we stand still in numbness, just to watch all potential melt away, ending up as a bittersweet nectar for the hummingbirds." The "Ruins Of Gold" EP will be released soon and will be available for free download! 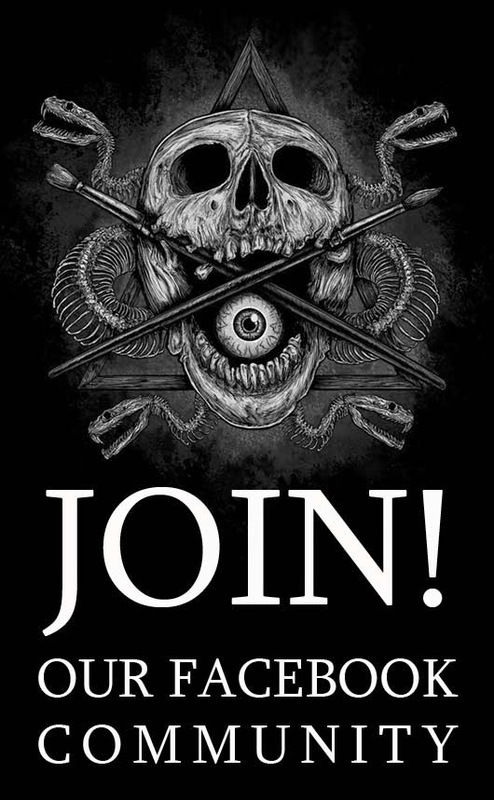 Follow Harkon's Facebook for more details. Recording's Title: "Ruins Of Gold"
Version of the artwork without band logo/title.